A late fourth quarter touchdown, and the all important point after kick conversion lifted the Marlette Red Raiders to a thrilling 28-27 win over Bad Axe. The Red Raiders scored 21 second half points to pull out the win. The Hatchets, behind star quarterback Tommy Morneau, took the early lead. Morneau scored on runs of 10 and 12 yards to stake his team to an early 14-0 lead. It was a 21-0 score after Bad Axe picked off a Marlette pass for a TD, putting the Red Raiders in a huge hole midway through the second quarter. A two yard dive by Ethan Stover put Marlette on the board with 8:04 showing before the half and a Ethan McKenney pass to Zak Chappel covering two yards made it a 21-14 game. The Red Raiders capped their comeback with a one yard dive into the endzone by Hunter McGinnis to knot the game at 21-21. 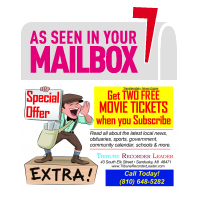 McKenney found Aaron Lefler wide open on a 67 yard pass play in the closing minutes of the fourth quarter, with 4:03 to play, with the extra point kick by Jarod Lentz giving the Marlette squad the win. 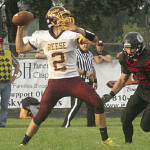 The Red Raiders stacked up 416 yards (256 yards passing) of total offense while Bad Axe finished with 223. McGinnis finished with 73 yards rushing on nine carries while Stover added 71 on 16 rushes. Morneau had 162 yards rushing on 23 attempts and three scores for the Hatchets. Lefler had 150 yards receiving on six catches for Marlette and McGinnis hauled in a pair of catches for 48 yards. 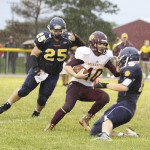 Defensively, Marlette was led by Brett Knox and Tyler Ladd, with five solo tackles each while Chappel and McGinnis had three apiece. 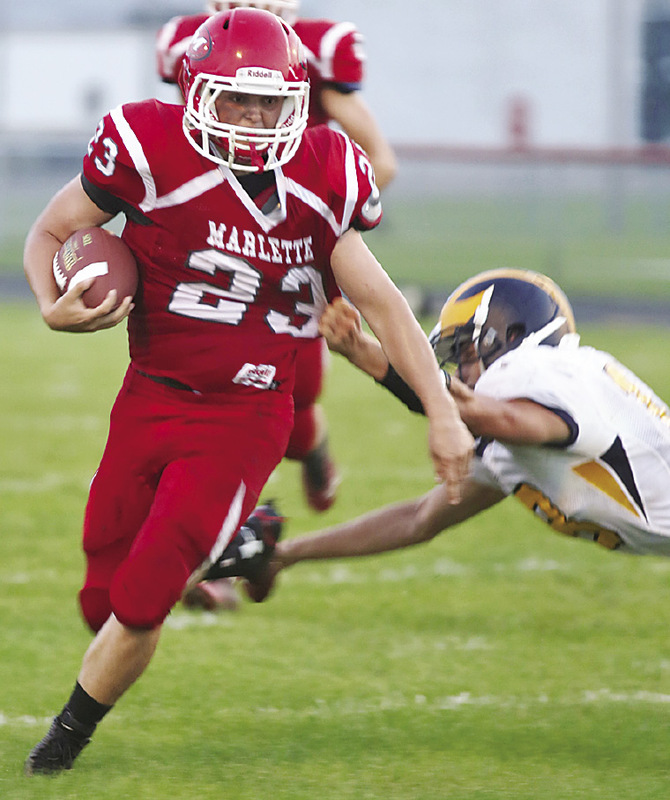 Marlette will hit the road to take on Reese Friday night. The Rockets will be looking to get on the winning track, having suffered a 46-8 thumping at Sandusky Friday night.